Jewellery is one of the most essential things in the life of the women. Women often like to wear various kind of jewellery and these jewellery needs to vary according to the style. In case of the fact that some necklace or earring is of very luck to you and you like to often wear them you keep them close to you but what about the other kinds of jewellery items that you have in your possession and you do not use them every day but when you have to you need to struggle hard to find the piece of your desire from the unorganized jewellery storage that you may have. Jewellery storage is of very much importance, if all your jewellery items are in order and are organized then it is highly likely that you will wear and use them more often but if you have to go through a struggle whenever you want to wear a different kind of jewellery item then it is highly likely that you will avoid finding it and will go with your usual. There are some things that might help you in having a good jewellery storage. The most classical solution to jewellery storage problem is to buy a jewellery box. This book could either be a single box which has sections to organize different kind of your jewellery items or you can use different individual boxes to do the job. Along with the jewellery boxes the watch storage box can also be used which help in keeping your watches safe from all sort of scratch and keeps them arranged and finished. 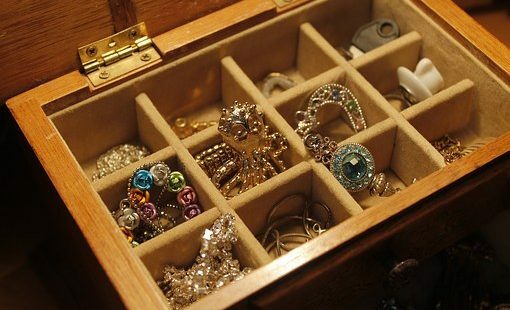 If having a jewellery storage box is too much outdated for you or it does not go with you then you can consider setting up your dressing drawer that can work quite well and even better as the small jewelry box. 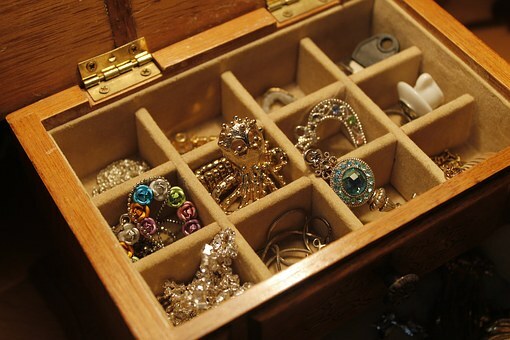 The drawer has much more space and much options but you cannot throw away all your jewellery items in the drawer or you could arrange them once but then you cannot expect them to be the same when you reopen your drawer. Therefore, in order for a drawer to work well, you need to divide the drawer in different segments. You can do the craft work of your choice to make the segments according to your need and then you could use these segments to store different kinds of jewellery in a good organized manner. In this way your jewellery will not get mixed up with each other and you can easily find the jewellery of your choice by sampling opening up your drawer.